Tankless water heater valves are meant to help simplify the installation, operations, as well as maintenance of tankless water heaters. 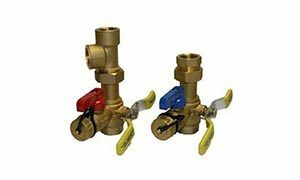 These valves are actually used to replace up to 18 fittings as well as 16 connections, which are typically used in the installation of tankless water heaters. There is a wide variety of tankless water heater valve kits on the market, but some are of higher quality than others. For this reason, there is a need to know which brands are the best so that you can have get value for money once you decide to buy the product. Has the capacity to reduce leak paths. Diagnostic testing can easily be done by a single party. You can clean the system without having to remove anything. Clear and easy to follow instructions on how to install the kit. 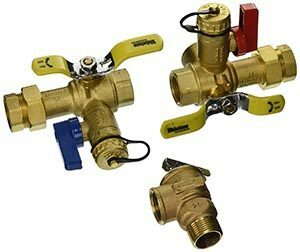 The compact all brass valve system has all the necessary on/off as well as maintenance ball valves that will help ensure that your hot water unit runs without electrolysis or impurities problems for a very long period of time. Does not need additional adapters for the pressure relief valve. The product is reasonably priced also the installation cost is very little. Some users complain that the hot water union fitting has a slow leak. The product is not eligible for international shipping. You don’t need a separate drainage system because the valves come with an in-built drain. Gives great performance because the valve kit contains a shut-off, flush adapter with cover, as well as diversion valve. It is also a high-quality product that is also designed to allow for easy installation. Gives you all the connections you need while connecting your tankless water heater. It is important to ensure that the valve kit you are intending to buy is compatible with the type of tankless water heater that you have. It should ideally meet all federal and state standards for lead levels in drinking water system components. Should have a manufacturer’s warranty on all its components as well as workmanship. Should be easy to install and maintain. Should be a durable product: Essentially, the kit should be made using strong material such as brass. Should contain a pressure relief valve. Should ideally have fewer connections in order to reduce the time and cost of installation. Should be of the right size for your tankless water heater and also have front-aligned handles. This is to allow for easier positioning of the valve kit even where the available space is small. Should ideally have an integrated drain valve because it allows for quick and easy maintenance of the valve kit. Should ideally contain a captive nut and washer in order to reduce the risk of component loss during installation. 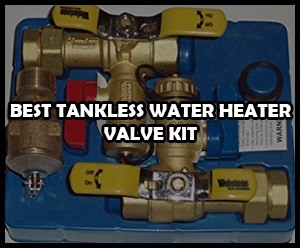 Tankless water heater valve kit is a must for anyone who is intending to install a tankless water heater. 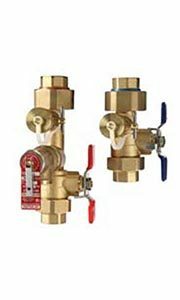 First and foremost, these valve kit help make the process of installing tankless water heaters very easy and inexpensive. In addition, they are associated with a lot of benefits for their users. They are compatible with various different types of tankless water heaters, meaning that they can be used widely. When it comes to cost, they are reasonably priced considering their quality and functionality. Most users have rated these products very highly, with most of them giving them a 5-star rating. They are also solidly made and durable, meaning that you will use for a long period of time. Most of these valve kits also come with a warranty on parts as well as workmanship. As a matter of fact, these valve kits are actually the perfect match for all tanks-less heaters. The most important thing is to ensure that you buy the right size and type of valve kit that is compatible with your tankless water heater. Essentially, these products are worth their cost and will give excellent service for a very long period of time. You need to invest in one and experience great satisfaction with the excellent service it will provide for you. If you need assistance on which valve to use and buy, feel free to contact us. We are just here willing to help you.